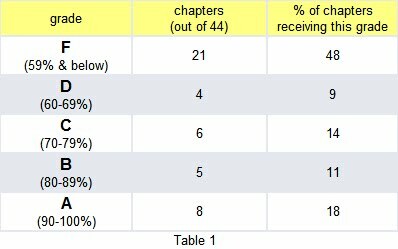 In elementary schools in the United States, students are assigned grades ranging from an A to an F, based on the mark they've achieved out of 100 (see Wikipedia's table here). Most parents would be alarmed if their child brought home a report card similar to the one received by the IPCC. 5,587 references in the IPCC report were not peer-reviewed. Among these documents are press releases, newspaper and magazine articles, discussion papers, MA and PhD theses, working papers, and advocacy literature published by environmental groups. Governments around the world need to base their policies on impeccable research - not a report that relies on 5,587 instances of grey literature to make its case. If individuals with an agenda had wished to manipulate this report, they were afforded thousands of opportunities to do so. Rajendra Pachauri, the IPCC chairman, has repeatedly trumpeted his organization's full reliance on peer-reviewed literature. But the report falls well short of that standard. If the IPCC has misled the public about a matter this straightforward surely its ability to accurately describe more complex topics is called into question. 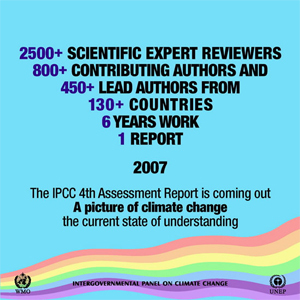 Most chapters in the IPCC report contain hundreds of references. Not every reference is adequately documented, and classifying some as peer-reviewed or gray literature involves a measure of discretion. Our How-To Guide advised auditors to: "Give the IPCC the benefit of the doubt." This project was administered by Canadian blogger Donna Laframboise, author of the upcoming book Decoding the Climate Bible. 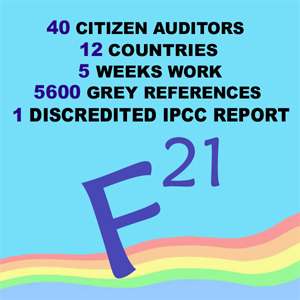 On March 8, she invited citizen volunteers to help audit the 2007 IPCC report. More than 40 people participated in this crowd-sourcing project, collectively donating hundreds of hours of their personal time. The last audit was completed on April 7. These citizen auditors live in different parts of North America but also in Australia, Costa Rica, Cyprus, Finland, Germany, New Zealand, South Africa, Sweden, The Netherlands, and the UK. Among them are a medical doctor, a lawyer, and people with degrees in engineering, chemistry, geophysics, mathematical physics, and plasma physics. Others have commerce, economics, and arts degrees. Some are retired. Nine are women.